The CAFE Foundation is a research organization with a 30 year history in testing and evaluation of small aircraft. CAFE is currently engaged as the host of NASA's PAV Centennial Challenge, a 5 year, US $2M innovation prize aimed at fostering a new vision for small aircraft travel in the United States. 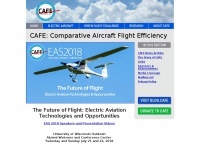 CAFE also hosts the Annual Electric Aircraft Symposium which brings together experts in the fields of small aircraft, electric motor and battery technologies, and others. 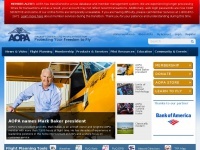 The web server used by Cafe.foundation is located in Brea, USA and is run by New Dream Network, LLC. This web server runs 1 other websites, their language is mostly english. A Apache server hosts the websites of Cafe.foundation. The website does not specify details about the inclusion of its content in search engines. For this reason the content will be included by search engines. 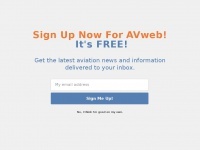 The visitors are redirected to the homepage of the website "/v2/main_home.php". 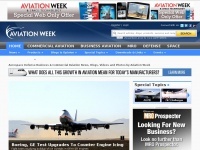 Aviationweek.com - Avia­tion Week | Aeros­pa­ce Defen­se, Busi­ness & ..
Avweb.com - AV­web » The World's Pre­mier In­de­pen­dent Avia­tion News ..